When injuries to the mother or child are part of the birth experience, it leaves families feeling traumatized and upset. Birth injuries to the child, resulting from errors in the delivery or during C-section, may lead to lifelong problems — being disabled physically or mentally. You want to believe the doctors and nurses did everything right, but the evidence suggests otherwise. Often it is necessary to file suit against the providers or the hospital to help pay for the lifelong expense the child will face. The most important consideration is that you are compensated financially for your loss, or for the short-term and long-term care your child may require. Compensation for emotional distress is another factor to consider. Malpractice cases are not for just any lawyer. You want an attorney with many years of experience — we have more than 30 years. You want an attorney who knows enough about the world of medicine to go toe-to-toe with large, well-heeled institutions. You want an attorney who is passionate about fighting for those who have been unfairly victimized. We invite you to call the offices of Watts Law Firm at (802) 457-1020 and request a case evaluation. There are many factors to consider, and we do not want to waste your time or ours. Did your child suffer a catastrophic injury at birth? Hold the negligent party to account. 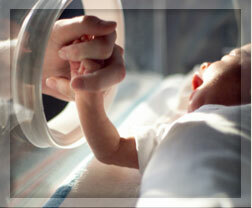 Call Vermont birth injury attorney Norman Watts at (802) 457-1020.